My son was about 4 years old when the previous Fantastic Four (2005) franchise was making the rounds on cable. It was light, infused with humor, and seemed appropriate for him to watch. As young kids find great comfort in repetition, I watched it with him… a lot. At that time, I was not nearly as keen on the comic book genre as I am now. 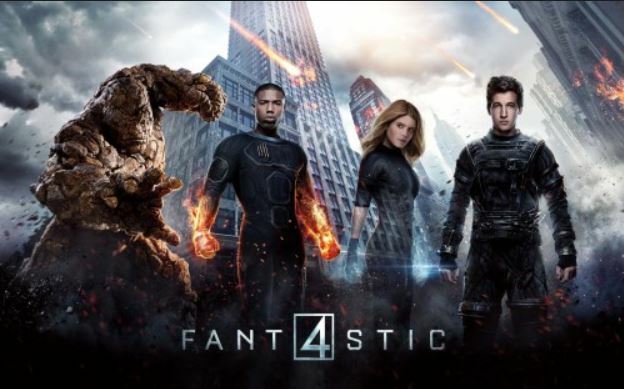 I remembered seeing Fantastic Four comics and cartoons when I was younger, but knew not much more than that. All in all, this version of the story is just ok. In fact, I have to admit that I was pretty surprised at the mediocrity. When you have such great, fresh talent to work with, how could you go wrong? Well, Josh Trank has figured out how not to take advantage of them, certainly. With Chronicle, also a film about superpowers, the plot was not dissimilar. Ironically, I think that Trank did more with those characters, despite not having the entire gamut of CGI effects at his disposal. Here, the characters are just plain underdeveloped. Occasionally, we hear an interesting nugget or two about each of them, but without further revelation. The superficial is pretty much all we know about them… Sue is obviously the mature one, Reed is brilliant, Victor is a frustrated genius, Johnny is bright yet easily distracted, and Ben is… well, we just don’t know. Of course, this is an origin picture, right?! We do learn how these young geniuses came to be working together on a matter transporter pointed at an alternate dimension – a destination with potential resources that could save our degenerating planet! Act I drags and then races to the “all important” transitional point of the story. When the inevitable happens, it’s almost like Trank “yada yada yada’s” over the section that could have been most interesting, as they all seem resigned to the inevitable pretty darn quickly – and then race on toward the violent, and final act. One thing is for sure. This cast seems to have had no fun at all. Greatly misused are Miles Teller and Toby Kebbell, as both possess great flare for snarky wisecracks – and rarely are given the opportunity to zing. In fact, if it wasn’t for expository dialogue, these two wouldn’t have much to say at all. Kate Mara can definitely act circles around lots of folks, and it’s too bad that she doesn’t get much chance. Michael B. Jordan is certainly likable enough. Ironically, I found that I was intrigued by Jamie Bell’s Ben Grimm, but we don’t get the chance to know much of anything about his character at all. Tim Blake Nelson is an adequate villainous “board’ member with oversight to the Baxter Foundation. The gravelly voiced, Reg A. Cathey (so good in The Wire and House of Cards and others) is fine as Dr. Franklin Storm in the first half of the film, but I swear, I could almost see him acting later on. Dan Castellaneta has a choice cameo near the beginning. I was also surprised to find this movie is missing some of those extras seen in recent Marvel movies. This makes me think that this film was not figured to be part of the MCU mythology. All in all, I found this version to be stodgy, void of levity, and burdened with a gloomy, heavy score. There are some interesting visuals in the alternate dimension, but nothing so surprising. I did think that the overall depiction of their powers was done pretty well. The Thing makes a great rock monster, Johnny does “flame on” and off, Reed stretches and Sue throws a mean force field. Unfortunately, they don’t get much opportunity to showcase as the action sequences are few and far between – all of which left me wondering how much longer it was all going to go on. Your turn: How much do reviews / ratings influence your decision to see a movie? REVIEW: The Man from UNCLE… Spies Ritchie Style! Thanks., was wondering if this one was worth it…. Not… Go see Rogue Nation! I enjoy your writing style really enjoy this site. I enjoy your work, thanks for sharing all the beneficial blogs. I think this is among the most essential info for me. And i’m happy reading your post. The website looks wonderful, the content articles are superb. Thanks a lot for sharing this great info! I am looking forward to see more blog posts! When I initially commented I seem to have clicked the -Notify me when new comments are added- checkbox and now each time a comment is added I receive four emails with the same comment. Sorry that you are having issues. I think this is a you-click/unclick. Try looking for an unsubscribe in your emails. Thanks for your marvelous posting! I quite enjoyed reading it, you are a great author.I will make certain to bookmark your blog and may come back later in life. #CindySays Why don’t we “love” the new Star Wars stories? #CindySays: Facebook: Are you in? Or, are you out?